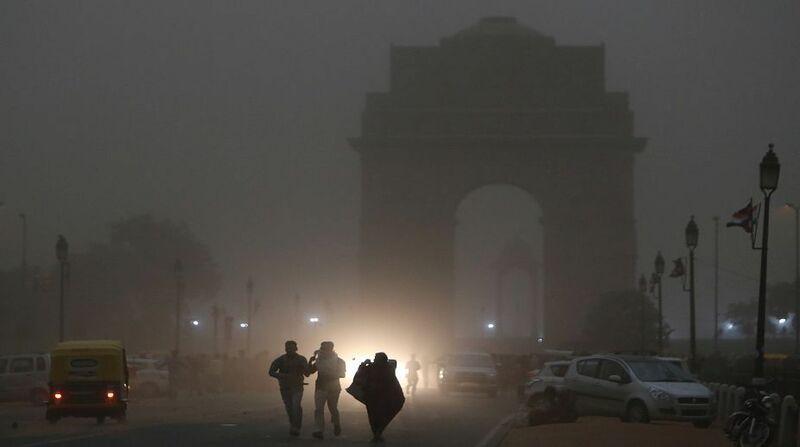 A sudden change in weather brought respite from the scorching heat in the Delhi on Saturday evening as light rain accompanied by high velocity winds blew across the national capital and its neighbouring areas. According to private weather agency, Skymet, Delhi and adjoining cities such as Gurugram, Noida, Faridabad, and Ghaziabad are likely to observe pre-Monsoon weather activities. Mumbai received heavy rainfall on Saturday following the onset of the southwest monsoon, leading to a slight delay in the running of suburban trains. The Indian Meteorological Department (IMD) on Saturday declared the onset of the monsoon over Mumbai, the adjoining Thane-Konkan areas, Ahmednagar, Parbhani and other parts of Maharashtra. On Friday, seven people were killed in lightning strikes in Uttar Pradesh and Odisha and heavy rain lashed Shimla and its adjoining areas, even as hot weather conditions continued in Punjab and Haryana.